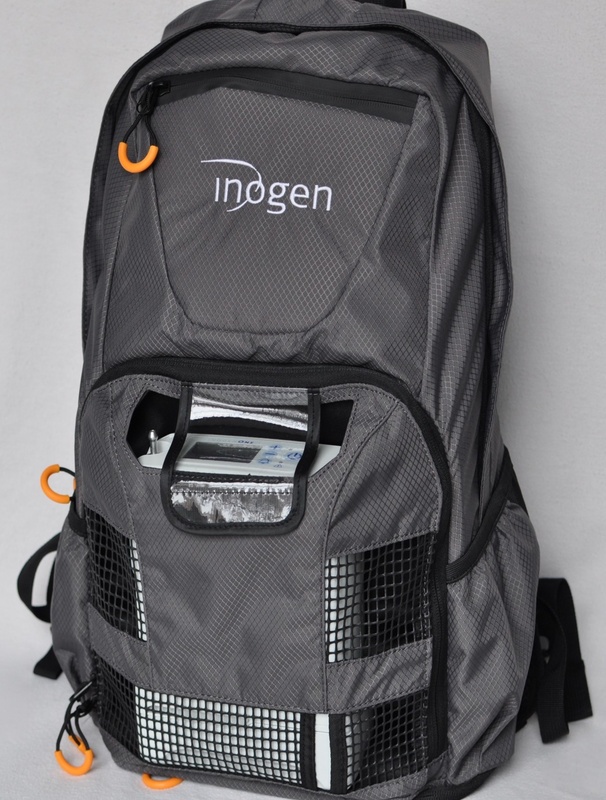 Sporty backpack for the Inogen One G4. 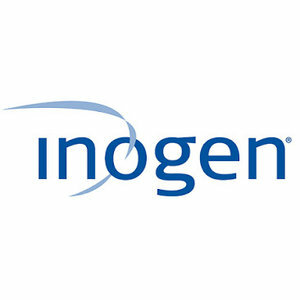 For whom is the Inogen One G4 suitable? 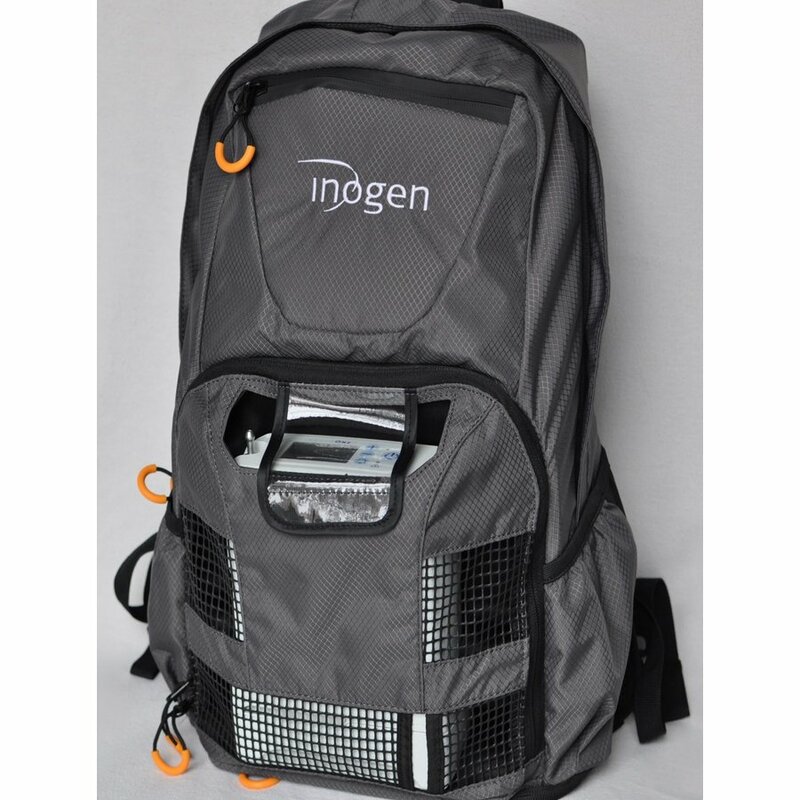 For all users of an Inogen One G4 looking for more carrying comfort or who are looking for more storage space in their concentrator bag. The Inogen One G4 system includes a carry strap to carry the concentrator over your shoulder. During longer walks, this might get uncomfortable. 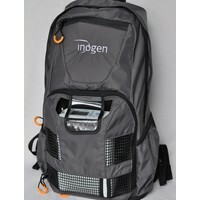 With this sporty backpack you carry the G4 safely on your back. Moreover, it gives you more storage space for your G4 accessories and personal belongings. Thanks to the adjustable chest and waist straps you can fit the backpack to your body perfectly. Don't need them? They're easy to remove so they don't get in your way. The backpack has a special compartment that holds the Inogen One G4 in its place firmly. 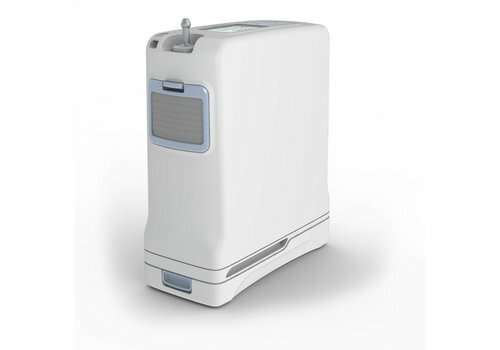 The compartment closes with a protective display shield, protecting the concentrator from dirt and moisture but still allowing easy access to the controls and nasal cannula. You can still charge the concentrator, the power input can be reached from the front while the concentrator stays in the bag. 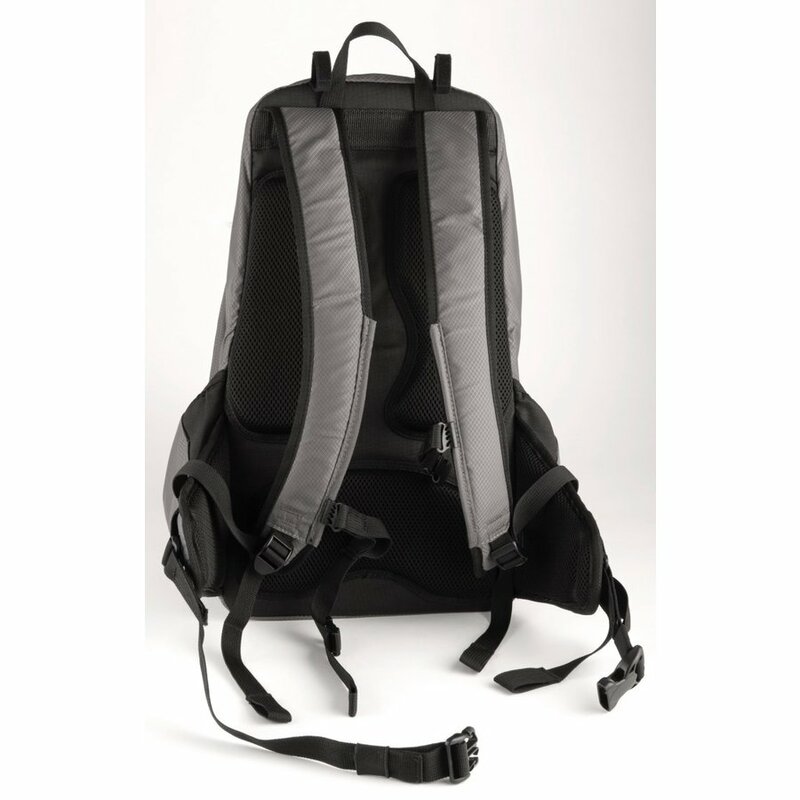 Next to the concentrator compartment the backpack has a large inside pocket for larger personal items such as a jacket. 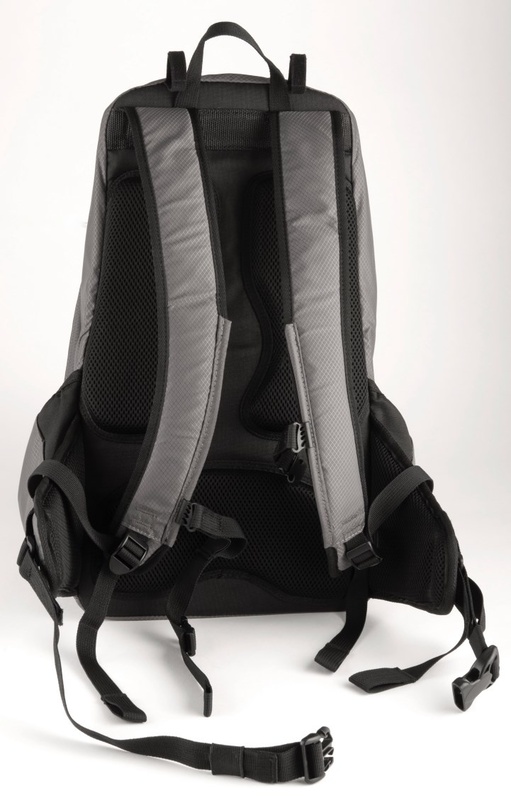 In the bottom pocket you can store an extra battery or the power supply, and there are two side pockets for a water bottle or extra cannulas. Finally there's an easy access lined pocket on the front, perfect for your cell phone or wallet. 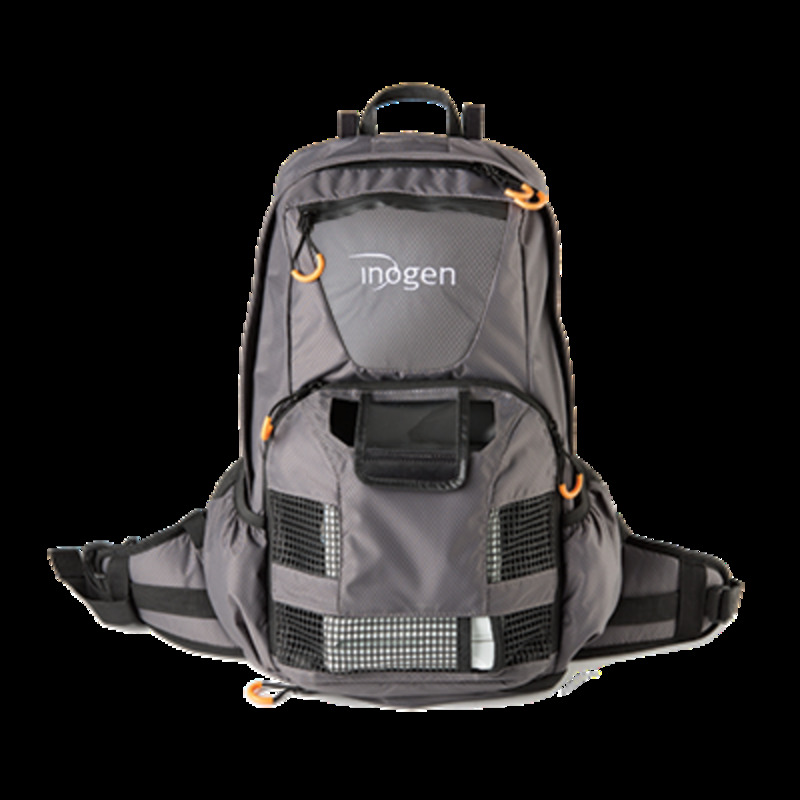 All zippers have an easily recognizable pull strap, making it easy to operate them while giving the backpack its sporty look. 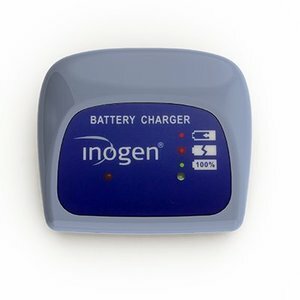 Small, smaller, smallest: the Inogen One G4. 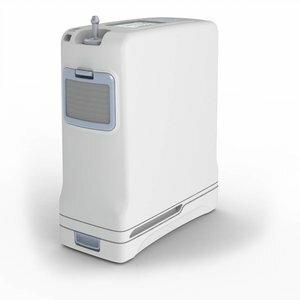 Inogen's smallest and lightest oxygen concentrator. 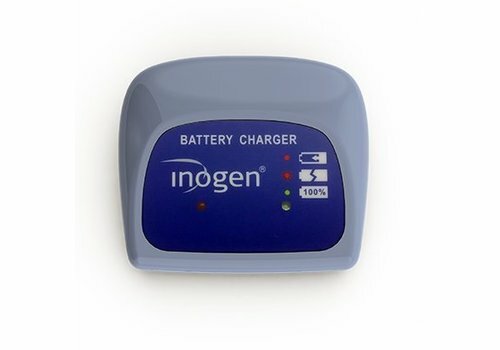 External battery charger for the Inogen One G4.